We hear the secrets from a Kraków local about the top 5 secret attractions in this beautiful city. Read our five minute guide below! Kraków (pronounced ‘Krak-Ov’) is one of the most famous tourist destinations in Poland. It sits in the south of the country, near the border of the Czech Republic. It has a well preserved medieval core and a vibrant Jewish quarter. Enlisted on the UNESCO heritage list since 1978, Kraków is surrounded by two major tourist sites: the Auschwitz-Birkenau Memorial and Museum (which includes the Nazi concentration camps Auschwitz I and Auschwitz II-Birkenau) and the Salt Mines in Wieliczka (both sites are also on the UNESCO list as well). Now, let’s be frank from the very start – one or two days in Kraków is definitely not enough to even catch a glimpse of the historical centre and former Jewish district. In order to get to know the city, to immerse yourself in the special atmosphere of the place, you need at least four full days. The guidebooks and your online searches have no doubt told you about the enormous Main Market Square, St. Mary’s Basilica with Veit Stoss’s exceptional altar inside and Wawel castle hill with the Cathedral. 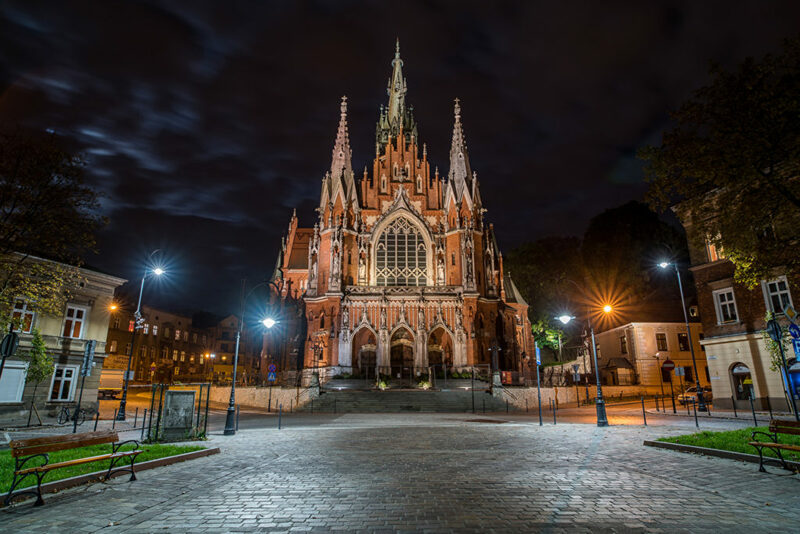 These places are indeed definitely worth visiting, however, if you have a little extra time, here are the top 5 secret attractions to visit on your vacation to Kraków. Best of all they’ll be away from the tourist buses and selfie takers! At the turn of the 19th and 20th centuries Kraków was the spiritual and symbolic capital of Poland. The only professional School of Fine Arts (converted into the Academy in 1900) attracted future artists from across Poland. One of them was Józef Mehoffer (1869 – 1946): a painter and stained glass window and interior designer and definitely one of the best Polish Art Nouveau artists. In the 1930s he bought a house in Krupnicza Street, which is currently a branch of the National Museum in Kraków. The house is exceptional as it represents in detail what a bourgeois house from the beginning of the 20th century looked like. 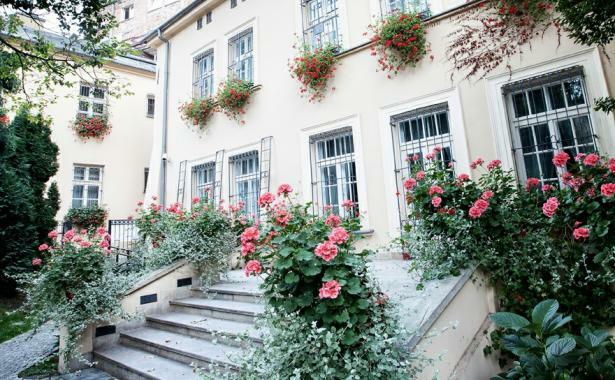 The biggest surprise is hidden behind the house – it’s a marvelous garden with a charming cafe. This place is a secret even to many inhabitants of Kraków! After leaving the Józef Mehoffer house, take a few steps into Dolnych Młynów Street and you’ll come across a post-industrial area called TYTANO. Sounds hip enough? 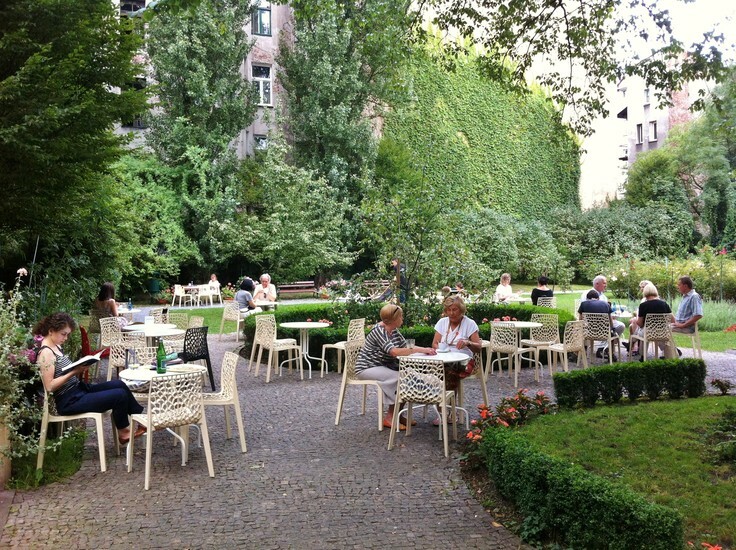 TYTANO is often described as Berlin in Kraków and indeed it’s not just a funny comparison. A few years ago a former tobacco factory was turned into the coolest place in the entire city. The builidings still look as if they are about to collapse within seconds, but inside them you will find the best restaurants, pubs and clubs in the city. You can easily spend the whole evening in TYTANO and crawl from one pub to another. Rumour has it that the complex will be closed by 2020, so enjoy it while you can! In the past there was the famous saying that if Rome didn’t exist, Kraków would be Rome. In a city with more than 100 churches, becoming indifferent to them is one of the ways to survive. However, St. Francis church is a must see on your list! The gothic structure dates back to the 13th Century, when St. Francis was invited to Kraków and the interior has amazing Art Nouveau decorations. It was created at the end of the 19th century by Stanisław Wyspiański (1869 – 1907) (Józef Mehoffer’s school friend) and most of all a total genius: playwright, poet, painter and designer. Wyspiański died very young and the interior of St. Francis Church is one of the few tasks finished by him. Take a closer look at the outstanding stained glass windows with St. Francis blessing Salomea and God the Father above the entrance. Kazimierz, known widely as the former Jewish district, along with Podgórze, are visited mostly because of the Jewish heritage in Kraków and the story about the ghetto during WWII. 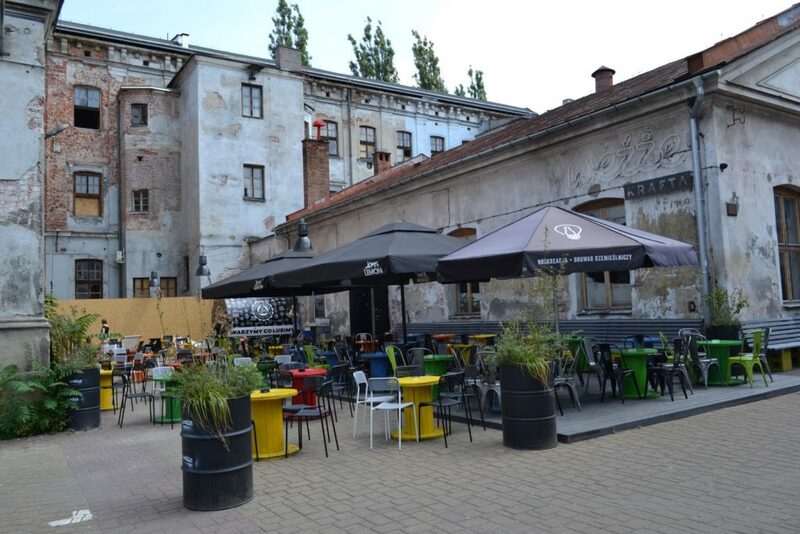 For a few years Kazimierz has also been known as one of the best places to have a drink in the evening and Plac Nowy is the beating heart of Kraków’s party life. If you look around while wandering from pub to pub, you might discover great examples of street art spread all over the place. Some murals were done by international stars such as Blu, Broken Fingaz and David Shillinglaw and some others by local artists. 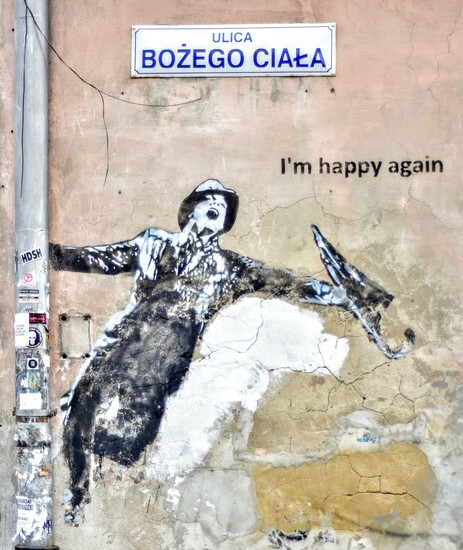 The most beloved one is the stencil showing Gene Kelly singing and dancing in the rain on the corner of Bożego Ciała Street, created by Trololo from Kraków. This is one of the best selfie spots in Kraków! After WWII, when Poland was under the USSR influence, the communists decided to build a brand new city next to Kraków. It was called Nowa Huta, which means the ‘New Steel Mill’. The whole complex was planned as an ideal communist city, in the shape of a pentagon. 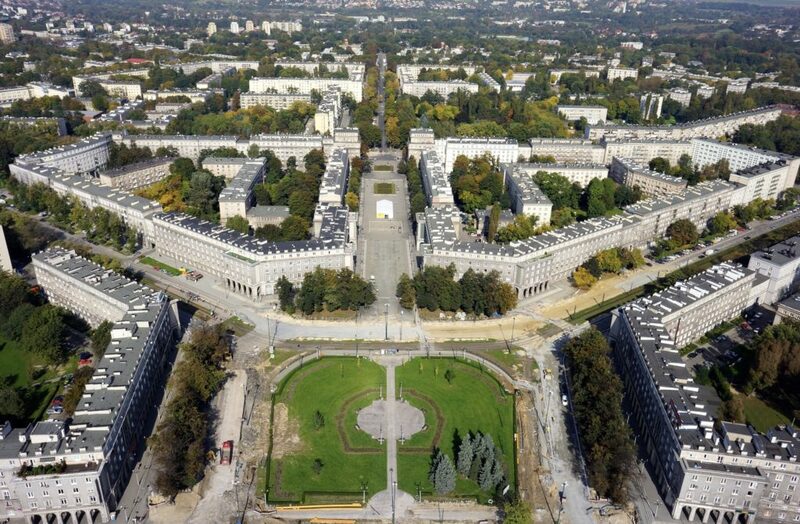 If you’ve also visited Warsaw, then Nowa Huta will ring a bell. Wide streets, heavy monumental architecture and the impression that time stopped in the 1980s. Nowa Huta, a souvenir of the communist era, is slowly becoming one of the more popular tourist attractions in the city, but it’s still occupied mostly by the locals. Many companies organize crazy tours to this district, but you can easily go there by public transport (get yourself a Europe SIM Card for your cellphone with high speed data so you can find your way with Google Maps). The central square is named after American President Ronald Regan – and it’s not a joke! Did you find this useful? Share it with your family and friends on Facebook or tweet about it on Twitter! Thanks!